Several Canadian media companies including Bell, Rogers, and Videotron have scored a victory against Infinity TV, a local seller of 'fully loaded' set top boxes. The Federal Court in Canada has issued a consent judgment, in which the box vendor agreed to pay a CAD$5 million settlement. The increasing popularity of specialized “pirate boxes” has become one of the main anti-piracy priorities in recent years. During the spring of 2016, a group of prominent Canadian rightsholders decided to take action to stop the sale of these devices. Bell Canada, Rogers Communications, Videotron and others, took several retailers of such “fully-loaded” set-top boxes to court. It didn’t take long before the Federal Court in Canada issued an interlocutory injunction against several companies, prohibiting them from selling “fully-loaded” boxes with pirate addons. A subsequent attempt by several vendors to have this ban lifted failed. In its initial order, the court allowed the rightsholders to add similar vendors to the lawsuit, an opportunity they gladly seized. The list of defendants has since grown to more than 125, including ITVbox.net, MTLFreeTV, WaveTVBox, SOLO IPTV, and Infinity TV. A few days ago, the Ontario-based company Infinity TV agreed to settle the case with the rightsholders. The company admits its wrongdoing in a consent judgment signed by Federal Court Judge Denis Gascon. 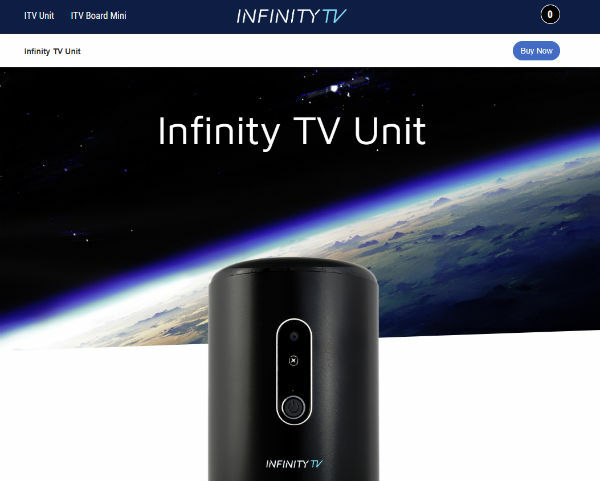 Infinity TV operated from infinitytv.ca, which no longer lists any products. It previously sold a pre-loaded streaming box called the “ITV Unit” through which it offered access to “over 300,000+ MOVIES – 20,000+ TV SHOWS – LIVE SPORTS” for a one-time price. According to the consent judgment, the vendor “induced and authorized users of Pre-loaded Set-top boxes to infringe the Plaintiffs’ right to reproduce the Plaintiffs Programs,” which is in violation of the Copyright Act. The order also states that Infinity TV sold and distributed equipment that was used to receive “encrypted subscription programming” after it was decoded, which is contrary to Canada’s Radiocommunication Act. What stands out the most in the mutually agreed judgment is a ‘settlement’ fee of CAD$5 million, which Infinity TV must now pay to the copyright holders to cover various damages and costs. This is the first consent judgment in the case according to the Wire Report, which picked up the story late last week. There may have been other monetary settlements in the past, but these are not public. Just a few months ago, Infinity TV’s website promised that something would be “coming soon,” but this message has since disappeared. Copies of the consent judgment (pdf) and the amended Statement of Claim (pdf) were obtained by TorrentFreak with help from attorney James Plotkin and stagiaire Fabienne Lajoie.